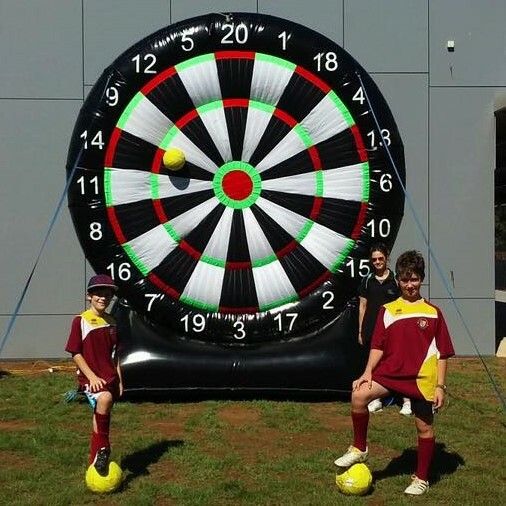 This Giant Soccer Dartboard is what happens when you mix soccer with darts! Grab a Velcro Ball and take aim. 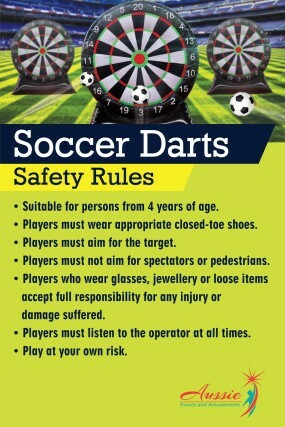 Our Giant 4 metre velcro dartboard literally catches soccer balls as patrons aim for the targets. Includes 8 velcro balls. Test your aiming skills. Guaranteed Fun.